Should A Beginning Golfer Get Fitted For Golf Clubs? Is It Worth The Money? Getting fitted for golf clubs can be expensive. Is it worth the investment? It’s an easy “yes” if you are a golf pro or a serious amateur… but is getting fitted for clubs something a beginning golfer should even consider? If you are new to the game, have played a couple rounds at the local executive course, been a regular at the local driving range and are slowly falling in love with golf, isn’t it ok to just keep playing with Uncle Bob’s old clubs from the cellar or Cousin Kathy’s set from the back of the garage? What’s the difference as long as you’re having a good time? Is it worth it for a beginning golfer to spend the time and money it takes to get fitted for clubs? At the 2011 PGA Merchandise Show in Orlando, I had a chance to talk with Dan Gibson, master golf fitter for Callaway Golf. I was fussing around with some new putters they had on display and not having much success, when he handed me one of their newer putters and started talking about all the new features, how the balance and design were certain to help me improve my putting stroke, etc. etc. What can I say! Dan Gibson loves his job, and when I asked if he would take a moment or two to answer a few questions for golfgurls.com, he was more than happy to oblige. The club has to be attractive to you. If you think it’s an uglee club, you will play uglee. The club must be the correct fit for swing weight, flex, length, correct grip and lie angle. If you have the correct clubs for your game, your game will improve and you will have more fun. 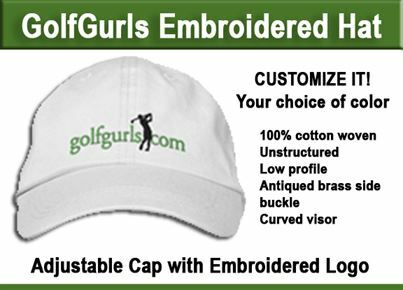 In fact, it’s more important for a beginning golfer to get fitted than for a pro. Golf is not an easy sport and it is too easy to get discouraged and quit if your game is going south. The bottom line: Get fitted, improve, play better, have fun, and keep on playing. What do you think? Is it worth it for a beginning golfer to get fitted for clubs? 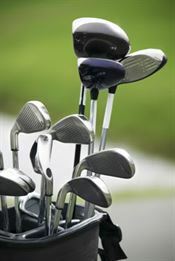 Is it Time to Trade In Your Old Golf Clubs? Having grown up in Aiken, SC, 20 mins from the gates of AGNC this week has always been my favorite of the year. Driver: Nike SQ Tour 9.5* w/ Aldila NV-85 grams StiffFairway Wood: Tour Edge Exotics Fairway Wood #4 16.5* w/ Aldila Proto NV 80 gram StiffHybrid: Titleist 909 19* w/ Aldila NVS 85 gram X-StiffIrons: Bridgestone J-36 w/ Rifle Project X 6.0 standardWedges: Cleveland C15 52* Black Metal Finish Cleveland 588 56* Black Metal Finish Titleist Vokey 60* w/ 6* bouncePutter: Never Compromise Gray Matter 2 ExchangeGrips: Tour Velvet MidsizeBalls: Nike 20xi-D or Titeliest Pro-V1xBag: Ping Hoofer 2I agree completely with the plain head covers and apparel. I just recently started golfing with my boyfriend as well as my brother a few weeks ago. 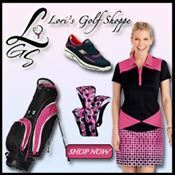 I would absolutely love to get fitted for clubs but it just costs a lot of money so for an early Easter present my boyfriend just bought me a really nice complete set of clubs I had my eye on in the store. They feel great, I play better and it makes me feel like I’m apart of something. I don’t know if you necessarily need to be fitted, maybe you just need a set that look and feel right for you. It just so happens my boyfriend found the right ones for me.